When you last saw this quilt, it didn't have borders. Now its done. I won the box of Victoria's Collection of Aurifil 12 wt threads from last year's Quilter's Take Manhattan where I attended on a "home ticket." I used those threads to quilt this mini with Aurifil 50 wt white in the bobbin and in the background. Everything was done free motion except the "wiggle stitch" in the borders. That was done using my walking foot on my Bernina. I also really love the back of this quilt. I had some home dec fabric from a sample book with little cherubs on it and combined several different colors of the same print to make the back. 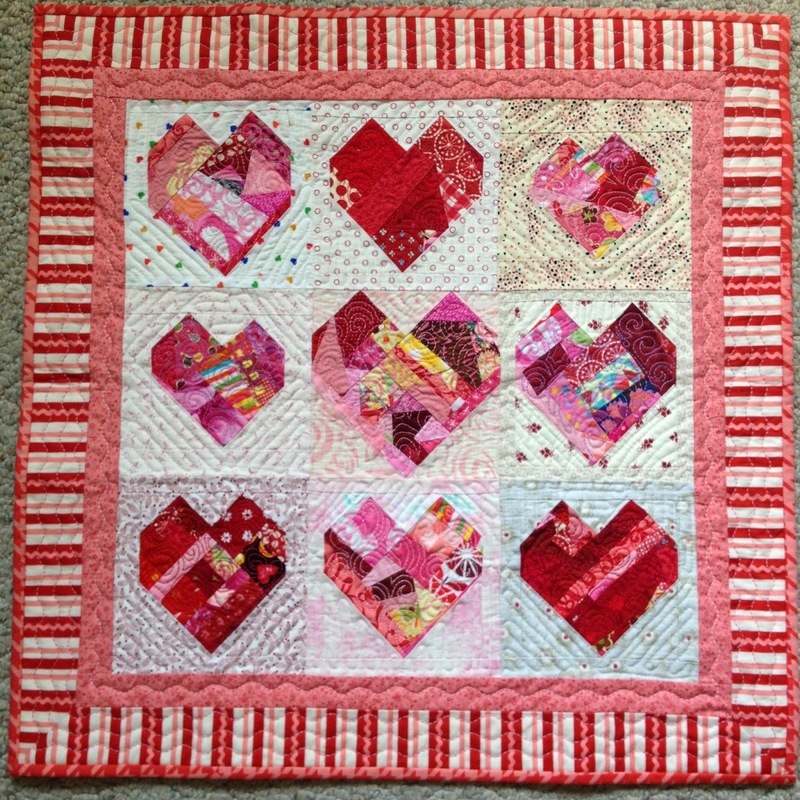 What a lovely piece, I love the different sized hearts and the border really sets the whole piece off. 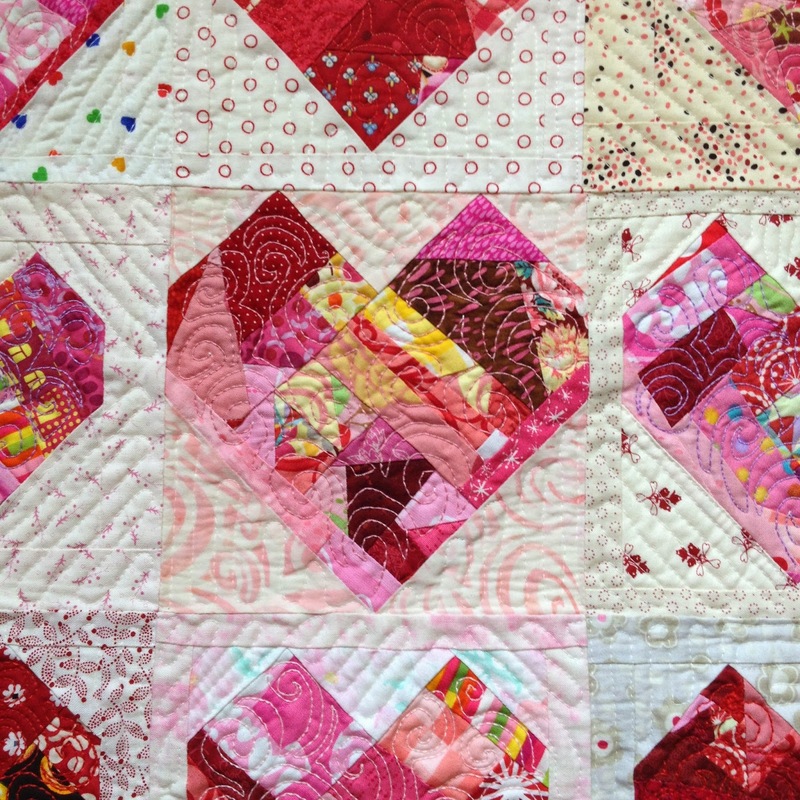 Oh, what a wonderful hearts quilt...I love it! i just luv how this turned out-both the front and the back!!! What a cute quilt. The front and the back!